Maybe you are having difficulty losing weight or getting into a healthy routine. Or perhaps you know what you need to do in order to feel your best or perform your best, but you keep getting stuck and just can’t seem to reach your goals. You may even wish to learn how to cope with the stresses of everyday life and have wanted to give mindfulness or meditation a try, but don’t know where to start. Whatever the case may be, we all have certain “habits” of behavior and these habits can limit us and prevent us from changing, even when we know that changing or breaking those habits will move us forward. It is often hard to discover and begin new and healthy behaviors and incorporate them into our everyday lives. A Coach can guide you in breaking the old habits and cultivating new ones in order to live a more healthy, productive and satisfying life. At Release, we have a professional team of dedicated coaches with decades of experience. Your Coach will work with you to reach your full potential, no matter what your concerns or needs may be. Each coaching engagement is unique and is modified to fit your individual needs. The Release Coaching Program will provide you with not only the best tools and strategies for a vibrant, healthy and successful life, but the support to make your new habits last a lifetime. Experience the benefits of working one on one with a Certified Coach over a period of time in order to reach your optimal wellness. 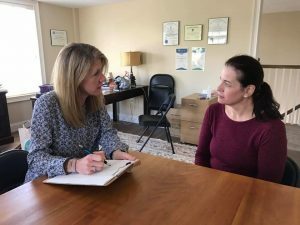 You will meet with your coach for an intensive and thorough first session during which you will work together to develop a personalized action plan and individualized goals, based on your wellness needs. You will then continue a relationship with your coach over a period of agreed upon time. During this time you will meet for a number of 60-minute sessions, as well as check in with your coach via phone, e-mail and texts as agreed upon. Learn the valuable advantages of a coaching relationship – accountability, personal attention, self-exploration and establishing habits that will last a lifetime! Linda Townsend, Owner of Release Well-Being Center, helps leaders sharpen self-awareness to access their authentic leadership style, enhance on-the-job performance, communicate more effectively, and build stronger relationships. Linda draws on more than 30 years of effective business leadership and management while guiding individuals and teams in their mission to reach their full potential. Linda helps executives, often women experiencing rapid growth or transition, gain clarity about their long-term goals in order to cultivate well-being and professional success. 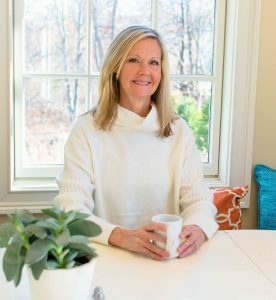 As an executive coach, Linda helps her clients see themselves more clearly, define their vision of the future, capitalize on their strengths and uncover any obstacles standing in the way of achieving their long-term goals. Linda then works with clients to translate these realizations into a roadmap — a series of concrete action steps that can be implemented and measured over the course of their work resulting in new behaviors. By practicing these new behaviors in real-time situations and then reflecting on successes and challenges, clients are able to realize lasting change. Linda began her career as a newspaper and television journalist, where she mastered the art of active listening and asking powerful questions. She then brought these skills to the business sector, launching a successful career managing marketing, sales, training and HR in organizations ranging from multi-nationals such as Digital Equipment Corporation and Banyan to smaller companies including T Cell Diagnostics and Red Tail Solutions.Linda served the Young Presidents Organization (YPO), an international organization of more than 9,000 CEOs worldwide, as a Forum Moderator and then Forum Chairperson. She received special recognition at the YPO Global Leadership Conference in 2006 for her work with forums. Linda has a Graduate Certificate in Executive Coaching from the Massachusetts School of Professional Psychology. She graduated as Valedictorian when she received her MBA from Northeastern University and has a BA in Journalism from Northeastern University. She lives in Westborough, Massachusetts with her husband and three sons. Cindy Evangelous comes to release with over 30 years experience in fitness and wellness coaching and training. She holds a bachelors degree in exercise science as well as over 20 certifications in the fitness field. She has had many years working with women men and children of all ages on their health goals. She is a mom of three and a dedicated fitness professional. Her belief is to create and educate at the same time. She has a true passion for educating her clients on ideal and total wellness. 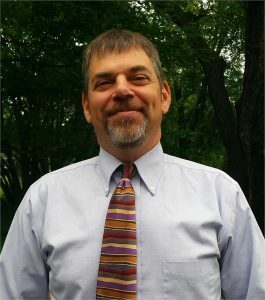 Kevin Farrell is a seasoned senior executive with over 25 years’ experience in leading large organizations, primarily in the aerospace industry. He has held various roles of increasing responsibility, including serving as an IT manager, factory manager, programs director, and general manager of a $150M+ business unit. 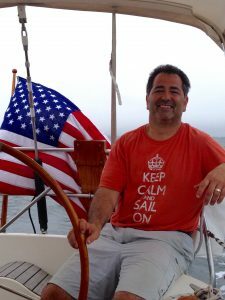 Kevin’s success is the result of passions around forming and leading high performance cross functional teams, developing close, highly-responsive customer relationships, and driving profitable growth. He has an affinity for mentoring talent within organizations, sharing in the resulting up-lift experienced individually and collectively. 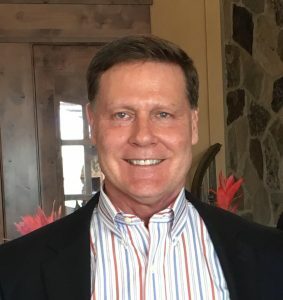 Today, Kevin offers consulting services to multiple organizations, including Release Well-Being, where he is an officer of the corporation, on the Board of Advisors, and supports strategy and operations on an ongoing basis. Danielle Boland is the Founder of RealYouRevolution, an elite and cutting-edge recovery coach and intervention service for individuals, families, executives, and professionals affected by substance use disorders or negative habits of any kind. 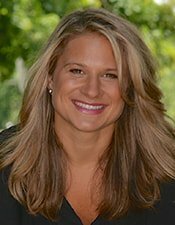 Danielle is a Master Addictions Coach and a Nationally Certified Advanced Clinical Interventionist Professional. In addition, she is a Reiki Practitioner, Kundalini Yoga and Meditation teacher, and is certified in SuperHealth Yogic Science to break bad habits and addictive behavior. Danielle focuses on social, emotional, and physical wellbeing, as well as learning how to love and be your authentic self. She believes recovery happens through identifying the root cause of negative behaviors and then taking a holistic approach to wellness. Adam Mintz is a Licensed Mental Health Counselor and Work/Life Coach. He received his Master’s Degree from Seattle University in 1996. Adam has a proven track record for leading individuals and organizations through growth, change, and transformation. His strengths include his approachability, thoughtfulness, and a knack for helping individuals remove the barriers that get in their way. Adam’s client centered approach is geared towards listening and gently guiding clients on a path towards deeper purpose, understanding, and contentment. When not working, Adam enjoys running, ultimate Frisbee, and spending time with his family. He is available on weekends and evenings for coaching. The 21 Days to Bliss program will kick start your commitment to consistent self-care. Through exposure to and immersion in well-being practices, you will learn to notice which practices fuel you and which deplete you, in order to create your own roadmap for a healthy, vibrant life. Our team of experts in mindful and healthy living will guide you on your journey. As a group you will learn to support one another and hold each other accountable in positive ways. Upon completion of the program you will have the knowledge, experience and tools, including a supportive network, to embrace a life of well-being on your terms. Why 21 days? It takes 3 weeks to break old habits and form new ones. It takes 21 days to develop a habit. Our 21 Days to Bliss program returns in September. The goal of the program is to provide a holistic approach to changing habits so you can improve well-being in every aspect – nutrition, exercise, and mindfulness. We spoke with Will Andrews, a graduate of the 21 Days to Bliss program, about his experience. What made you take on the 21 Days to Bliss challenge? My wife and I actually did 21 Days to Bliss together as an anniversary gift to one another. It was her idea, and I am so glad that she did it. I have been an athlete for my whole life, playing sports and working out 5-7 days a week. So exercise wasn’t an issue for me. But I am also a physician, and I knew that I could do better with my health – so I was looking for a bit of a jumpstart there. What I really wanted to gain from the experience was to increase my knowledge of self-care strategies and look at my health more holistically. So, through the process, I was able to learn more about nutrition, the mind-body connection, integrate yoga into my routine, understand meditation better and develop a next-level approach to working out. By approaching all of these things in a single program, 21 Days to Bliss was really effective at helping me change my habits so that I’m now taking remarkably better care of myself in every way. What was most useful about the experience? The fact that the entire program is holistically focused was incredibly important and impactful. Many people look at their health – and programs like this – in terms of weight loss. But ultimately, a program that is focused solely on that is totally unsatisfying and incomplete. 21 Days to Bliss is so much more. It is an effective jumpstart to being consistently healthy – and maintaining that. Coming into this program – even as a trained physician – I knew, for example, that I could do a lot better with my nutrition and eating habits. Through the program, I gained much more knowledge, and practical tips for eating better, preparing more healthful meals, and being more mindful and intentional about what I was eating. Another important – and highly effective – component of the program is the coaching. Both the small group personal training fitness component, where I was getting individual attention but also feeding off the energy of the group, and the wellness coaching, make a huge difference in my opinion. My coach – who happened to be Release founder Linda Townsend – provided an objective check-in throughout the process. She asked all the right questions about my goals, and my progress, and gave me a holistic view of how I was doing. Equally valuable was the group work. There is an enormous power that comes from opening up in a group setting and learning from other people. What would you tell someone who fears the program may be too intense for them? I’d tell them not to be afraid, even though I myself was a little intimidated at first. Even as an athlete, I was a little afraid of the small group personal training, and it was intense, but everyone involved in the program meets you where you are, and customizes the program for you. They are great teachers, mentors and guides. The culture at Release drives this individualized experience. Recently, I came in and took a yoga class with a teacher I hadn’t seen in at least a month. She remembered that my shoulder had been bothering me last time, and asked about it, offering modifications and specific stretches to address the issue. What’s the best thing about having participated in 21 Days to Bliss? I feel great – and I’ve learned so much about myself. I’ve done things I never thought I would do and integrated them into my life. I was intimidated by the concept of cycling class, but within two to three classes, I was hooked, and have now incorporated it into my workout schedule every week. I’ve learned how yoga can be an important part of my fitness regimen. And I’ve come to understand that any of the offerings at Release can really be attainable and valuable for anyone – whether it’s yoga, cycling, small group personal training, or meditation. Most importantly, while I have lost weight, I’ve changed the way I take care of my body, and my mind – for life. Registration for the 21 Days to Bliss Program is currently open. Program begins in September.